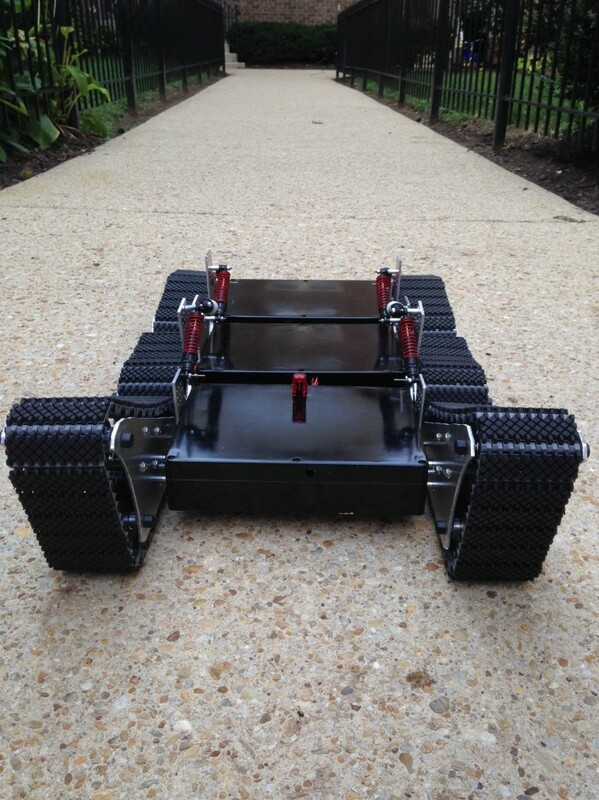 The Ground Drone Project wants to make a low cost ground robot chassis for hobbyists and inventors that is capable of traversing challenging obstacles . The project’s original articulated traction control design offers a unique approach to obstacle traversal. The project’s Kickstarter offers backers a $100 kit instruction and bill of materials reward, and a partial to complete chassis for backers pledging $300 and up. If the Kickstarter is successful, the instructions and bill of materials will be available for all. Currently available chassis are either too small or extremely expensive. In addition, these platform kits cannot leave a controlled environment – a huge problem for makers who aim for full home applications. 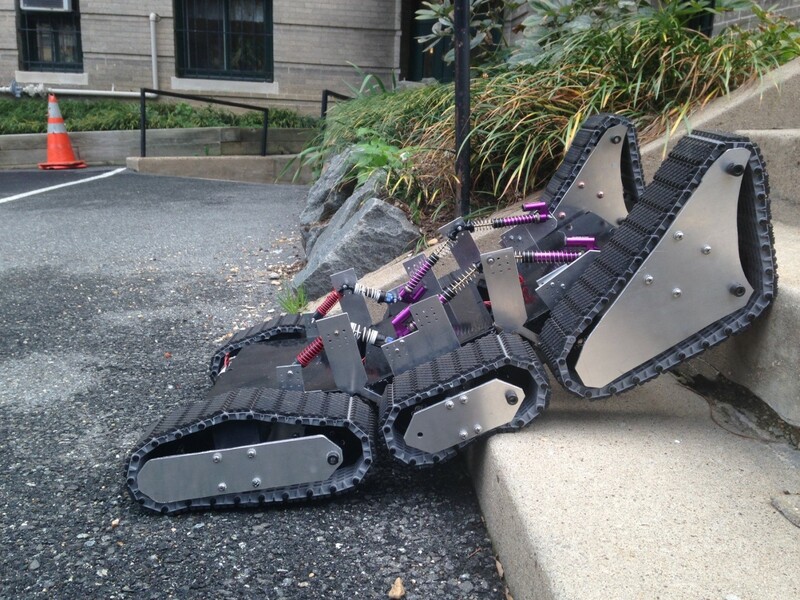 In order for a robot to be useful in our world, it must traverse unpredictable obstacles, including stairs. This has been an extremely hard problem for roboticists to solve, but a working solution now exists! Three years went into creating a solution that removes extra actuators such as servo flippers, and into inventing an articulated modular chassis that uses pure physics. Articulate traction control connects three segments together with suspension joints that allow the chassis to articulate diagonally-downward and diagonally-upward, as the below diagram illustrates. The three-section waterproofed boxes are empty, providing 450+ sq. inches of free space for electronics, along with open deck space for mounting payloads. The goal of the project is to deliver an affordable and highly mobile mechanical chassis with the promise of empowering hobbyists and small businesses.